Every year since 2005, I’ve been roped into the Shamrock Run at Waterfront Park by someone or something. I don’t usually do the same races over and over again, especially with the growing list of options available, but this is the only race I come back for every. single. year. I got sucked into the 2019 Shamrock Run Portland by the shirt design this year, which I liked so much that I showed my husband and HE decided to race too. He’s not a runner and has done very few races. But the Shamrock Half was his very first (and last) half a few years ago, and now he’s coming back out of retirement for the 5k. This year, the race will be put on by Motiv Running and there are plenty of different distance options to choose from. There’s a half marathon, which I’ll be doing, a 15k, an 8k, a 5k, the Shamrock Stride 4-Miler for walkers, and a 1k Kid’s Leprechaun Lap for those under 10 years. There really is something for everyone!! The event is also on March 17th which is St. Patrick’s Day. I can’t think of a better way to celebrate this happy day then by joining the sea of green runners and drinking a beer at the end. The Shamrock Run traditionally has horrible weather, and it’s something that people often joke about. No matter the amount of rain and wind, people come out in droves for this race, and it’s a huge event that kicks off the unofficial race season in Portland. Why do people continue to torture themselves? Well, for a few reasons, actually. This race is very well organized. In all the years I’ve done it, there have never been any hiccups on race day, which is saying a lot considering the considerable size. 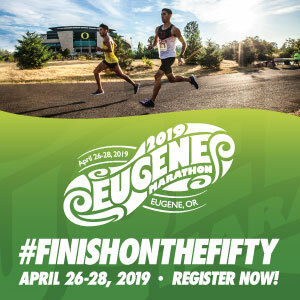 It’s the largest running and walking event in Oregon and the 3rd largest running event in the western United States. The race runs like a well-oiled machine, even when the organizers had to change the route and roll with less police support and road closures. I’ve never felt unsafe or in danger of getting lost. The mile markers are where they should be and it’s a completely drama-free event. The swag is better than most. Everyone gets a tech shirt and a medal, not just the half marathoners. Everyone also gets a free beer at the end, hot soup, and live entertainment in the Widmer Brothers Brewing beer garden. The best reason for doing Shamrock is the spirit of the runners. No matter how miserable the weather, it’s like Disneyland at Waterfront Park on Shamrock Day. People are freezing and hopping around waiting for their race, but everyone is excited, everyone is experiencing the same thing, and everyone just “gets it.” It’s the one time a crazy runner doesn’t feel quite so crazy, because they are surrounded by it. And it’s GREAT people-watching. People go all out for this event with their Shamrock Green. It’s like Halloween for leprechauns. Each distance of the race start at Waterfront Park near Natio Parkway and run thru downtown Portland. The 15k and Half will take runners on the challenging but scenic Terwilliger Hills. The Shamrock Stride 4-Mile walk will include a stretch across the Tilikum Crossing this year. Check out the course maps and descriptions for all the distances here. The Shamrock Fitness Fair will take place at the Oregon Convention Center on both Friday the 15th and Saturday16th. 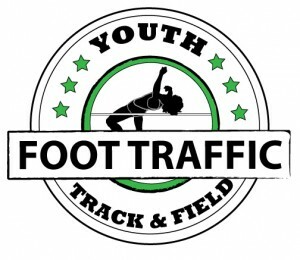 There will be more than 80 vendors there and it will be a super fun way to get pumped for the race. This will be your only option as an individual registrant to get your race bib unless you pay an extra $10 when registering for the race to pick up your packet on race day. You also have the option of creating or joining a team of 12 people or more, as all the bibs and t-shirts will be mailed to the Team Captains before race day. If you’ve even wondered what all the fuss was about for this event, maybe 2019 should be the year you do it. I can almost guarantee you’ll know at least one person out in that crowd somewhere since most of Portland seems to be there that day. Happy Race Season to all!! When: Sunday, March 17th, 2019. 5k is at 8:00AM, 8k is at 10:10AM, 15k is at 8:55AM, and Half Marathon is at 9:20AM. Kid’s Leprechaun Lap 1k is at 9:40AM and Shamrock Stride 4 Mile Walk is at 10:30AM. Packet Pick-Up: Fitness Fair is open Friday March 15th from 11:00AM-7:00PM and Saturday March 16th from 9:00AM-3:00PM at the Oregon Convention Center, Exhibit Hall A/A1 (777 NE MLK Jr. Blvd, Portland.) Race day packet pick up available to those who pay an additional $10 during online registration. Join a team of 12 or more for a mail in option on packets.